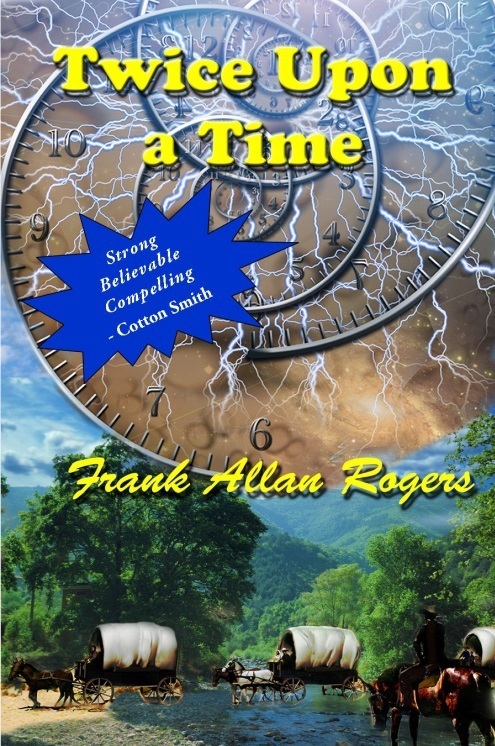 Twice Upon a Time, by Frank Allan Rogers kept my attention. I wanted to continue reading to find out what fascinating turn his storyline would take. Although I am not a big reader of time travel, this did not seem to be the “run of the mill” time travel novel. It was actually believable in the sense that something like it could happen if you put yourself in the skin and mind of Frank’s main character, August Myles. The characters were well defined and the story came to the only conclusion it could. They were believable as living, breathing human beings and interacted with each other as you would expect them to, but with a few little surprises. Frank was able to transport August from the 21st century to the 19th century and into paradise without it seeming contrived. With a plea to his “mentor”, Socrates, August persuades him to go back and ask the Council for a second chance. To the surprise of both of them, the Council reconsiders their decision and gives August a second chance, but he has to carry out a mission. Thus begins a trek through 1847 wagon train life, fraught with bad men, Indians and a damsel in distress. How August deals with all of these things is the premise to the story. I highly recommend it to all. He considers himself, not just a writer, but a storyteller and hopes his readers will take away the same feelings he has had in the telling of the story. Frank lives with his wife, Mary Rogers, an award winning oil artist in west Georgia.